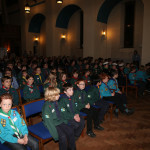 The biannual Northern Norwich District “Celebration of Scouting Achievements” awards night took place once again at St Catherine’s Church, Mile Cross on Friday 16th October, with around 100 recipients in attendance. One night. 50 awards. 2 dedicated Young Leaders. 3 outstanding, life saving scouts. 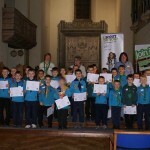 It can only be the latest Northern Norwich Scout District Celebration of Scouting Achievements evening! 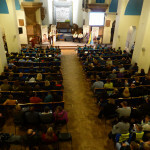 Our October Celebration of Scouting Achievements awards evening was as packed as ever with award recipients and their friends, family and leaders too. The district were delighted that actor Graham Cole was able to join them at our “Celebration of Scouting Achievements” awards evening in March. 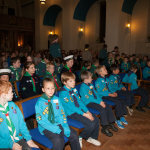 Almost 350 Beavers, Cubs, Scouts, Explorer Scouts, Leaders and helpers from 11 groups across the district attended this year’s fire evacuation at the Odeon Cinema in Norwich.